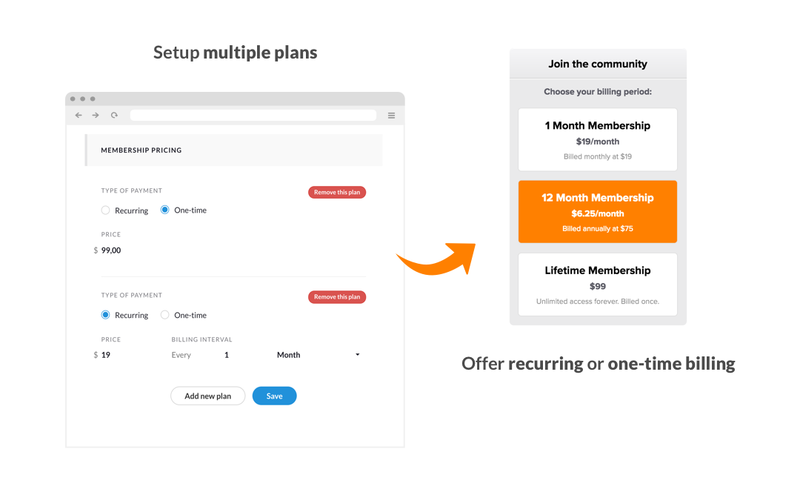 You want to create a premium Slack community like Nomad List ($75/year), Remotive ($29/year), #startups ($29), #freelance ($25), #techlondon (£1), #FemaleFounders ($30). But then you realize that taking your members’ payments requires setting up forms and writing code to connect them to the Slack API. You could also invite each new member manually. Not the best use of your time, right? InviteRobot allows you to start requesting one-time or subscription fees in minutes. No coding is required. You just click a few links and add a button to your website. 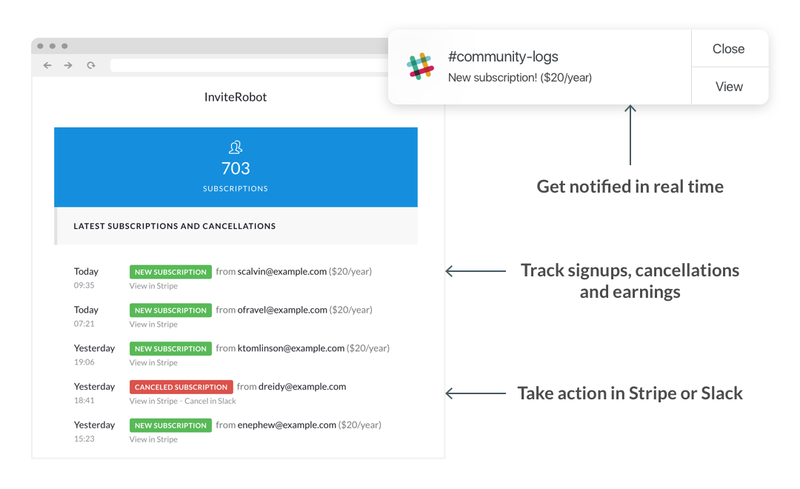 InviteRobot invites new members to your Slack team immediately after they paid. You can focus on what matters: animating and growing your Slack community. 100% free for your first 15 members, all features included. No monthly fee, no transaction fee, no time limit — and no credit card required. What happens after my first 15 free members? Each plan comes with unlimited members and awesome email and chat support. Slack allows you to create a chat group for your Community, like having your own social network. Slack includes real-time messaging, modern collaboration tools, and mobile apps. It's easy for you to set up and for the members of your Community to use. Click here to try it for free. 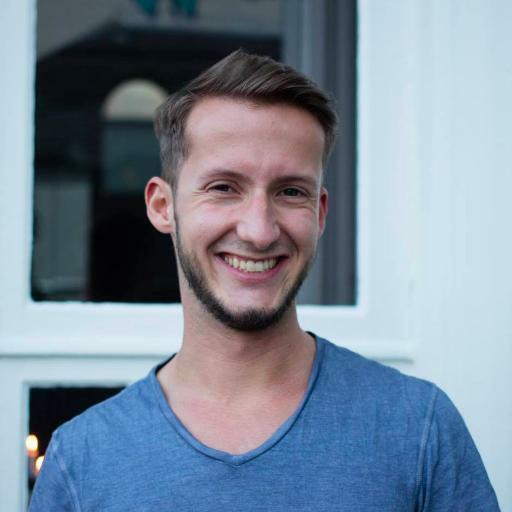 How does InviteRobot handle payments? We use Stripe. Your business needs to be registered in one of the 25 countries supported by Stripe. You can accept payments from anywhere in the world. 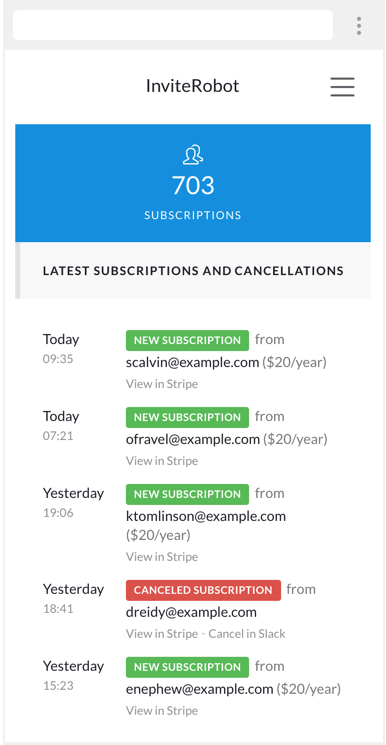 If you don't have a Stripe account, you will be able to create one in a few minutes from your InviteRobot dashboard. 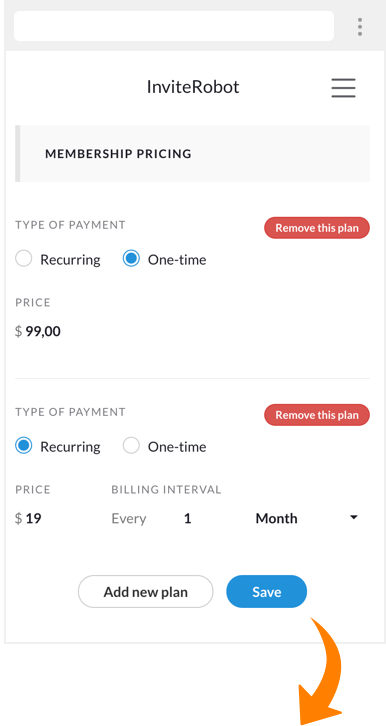 You will be switched to our STARTER plan, which is $0 + 12% fee. All the features, including recurring subscriptions, will still be enabled. Then upgrade to one of our low-fees plans whenever you want. Why does InviteRobot need such high permissions on Slack accounts? We need to be able to send invitations to your Slack team on your behalf, which corresponds to admin rights on your Slack team. We don’t post to your channels or do anything that you would not expect. As soon as Slack allows sending invitations using lower rights, we'll be the first to switch. It’s apparently on their roadmap. We are Julien Ma, Romain Petit, and Bastien Petit.